HUDSON, Quebec, December 19, 2007 - The Honourable Michael M Fortier, Minister of Public Works and Government Services and Minister Responsible for the Region of Montréal, on behalf of the Honourable Josée Verner, Minister of Canadian Heritage, Status of Women and Official Languages, today announced funding for the Village Theatre West. The Village Theatre West will use the $15,000 in funding for its 2008-2009 activities, which will include close to 50 musical performances (folk and world music) and theatre presentations, and bring artists from Ontario, Manitoba, and British Columbia. "The support our Government provides to the cultural and heritage sectors offers Canadians a variety of enriching artistic experiences, which strengthen the ties that unite us," said Minister Verner. "Our Government recognizes that investing in culture significantly benefits the quality of life of all citizens and contributes to our social and economic success," said Minister Fortier. 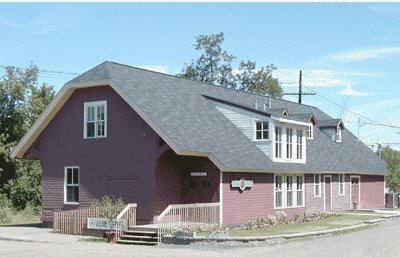 Village Theatre West is an English-language, professional theatre company located in Hudson, Quebec, which offers a variety of theatrical productions in its 148-seat theatre. It also presents the Outside In Series, a program featuring a variety of professional artists from different disciplines. The Government of Canada has provided this funding under the Arts Presentation Canada program of the Department of Canadian Heritage. This program seeks to provide Canadians with opportunities to experience the diversity and richness of Canada's culture through professional art festivals, performances, and other artistic experiences.